Downsizing can be challenging for empty nesters after raising their families in single-family homes. But for more and more Baby Boomers, it's the right thing to do. 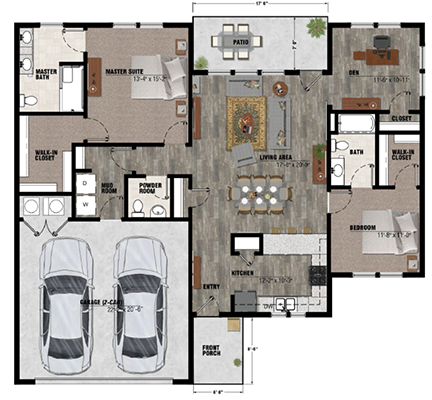 Coming soon to Delaware, Ohio Burr Oak Commons luxury apartments in Delaware fit the 55 and older lifestyle with ease and elegance, providing solutions for householders looking to lighten their load. Burr Oak Commons helps empty nesters who are downsizing keep that home-like feeling without any of the maintenance responsibilities. 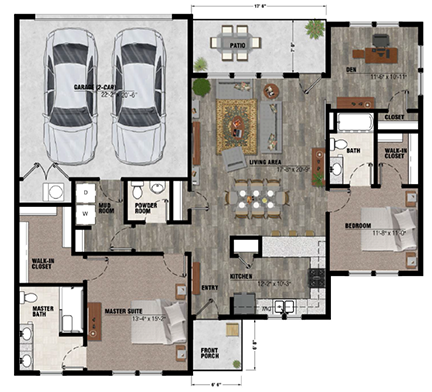 All of these large luxury apartments have attached garages, open floor plans and storage galore, and the right amenities and services to accommodate the next phase in your active life! This new 55+ active adult rental property is currently under construction at a site located northeast of State Route 37 and Lantern Chase Drive, less than 5 minutes drive to historic downtown Delaware. The 200-year old downtown is an oasis of entertainment and culture that offers big city events and amenities, but with all the advantages of small town living. 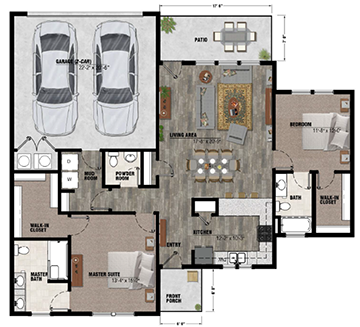 The luxury apartments at Burr Oak Commons have one-, two- and two-and-a-half bedroom/den floor plans in single-story designs. 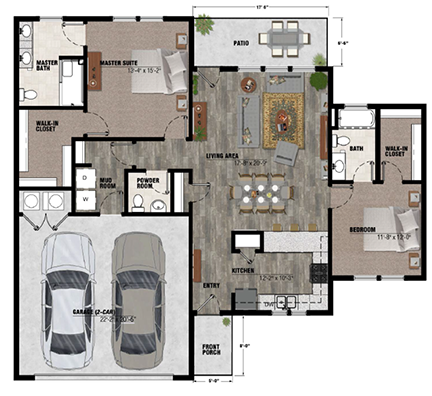 All of our senior apartment homes have vaulted ceilings, extra half-bathrooms and luxury finishes throughout. The community amenities include a great Commons area with a bar, your own personal liquor locker, fire pit, big screen television and well-equipped exercise areas. 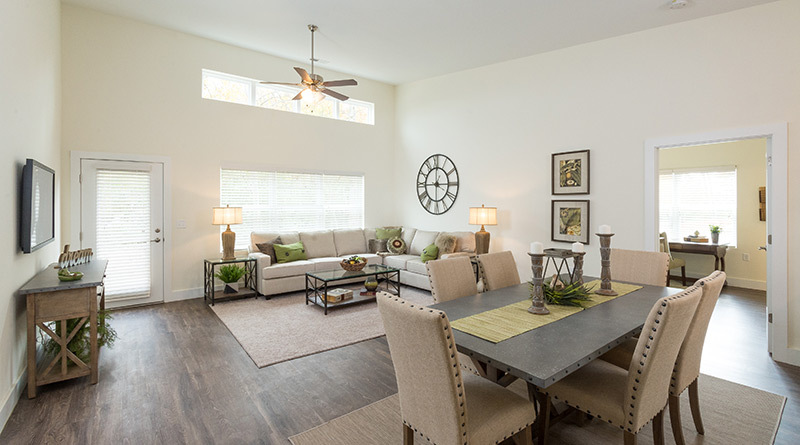 The Commons area at Burr Oak Commons has luxury touches and spacious designs to accommodate large get-togethers, making you feel right at home. The community garden at Burr Oak Commons is designed with raised garden beds to make it easier for residents to cultivate their favorite flowers, herbs and vegetables. There is a sense of welcoming, warmth, richness throughout Burr Oak Commons. Gather around the fire pit or relax with a warm drink by the Commons fireplace. Loads of windows and rich fabrics makes you feel like you designed it yourself! 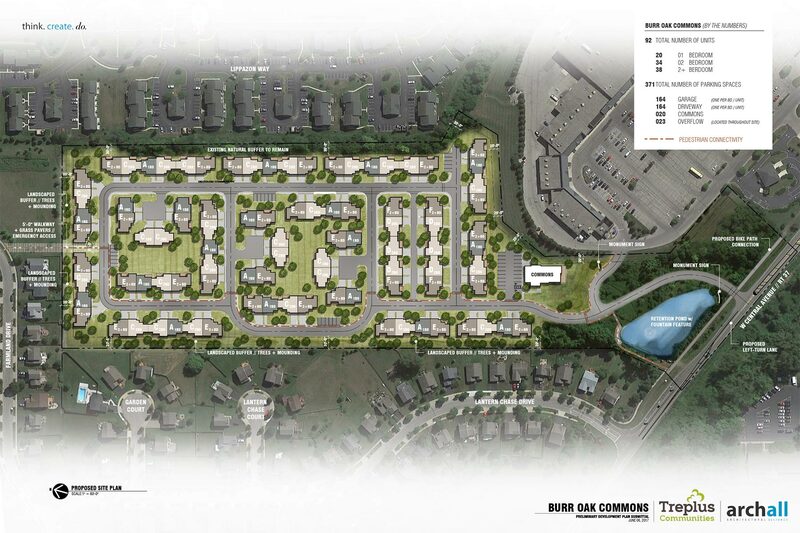 As with all of our communities, we are building Burr Oak Commons with care and quality, so they offer all the high-end finishes of upscale single-family homes or condos for rent. The luxury apartment homes are built in duplex design, very similar to the design of condominiums. Located on a lovely 20-acre site alongside the Reserve at Lantern Chase, a single-family home development, Burr Oak Commons will offer many of the same great features and amenities that Hawthorne Commons in Dublin and Redbud Commons in Pickerington offer, including walkability and nearby shopping options. The site is within easy walking distance of the Westfield Kroger shopping center. Active Adult Living That Keeps You Close to Home! 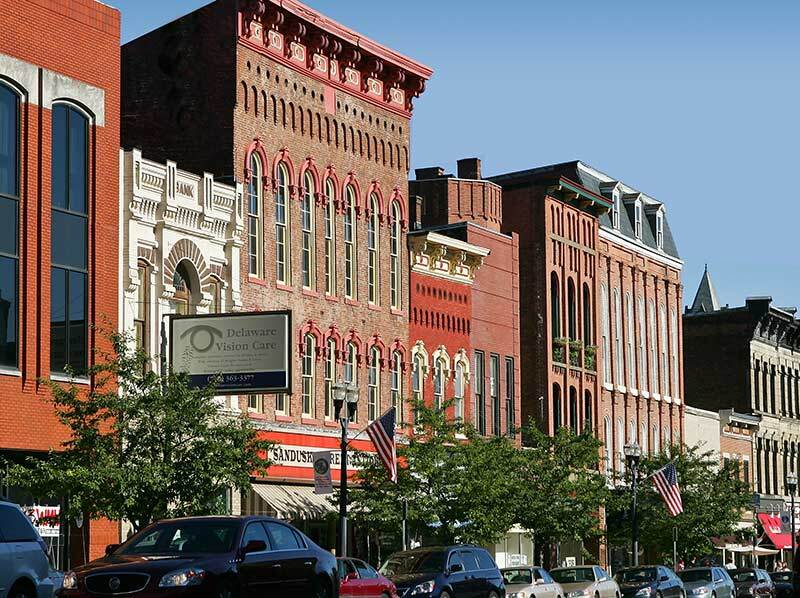 Delaware Ohio has undergone phenomenal growth over the past several decades, but the downtown and surrounding community have kept all their historic charm and family-friendly ambiance. The Little Brown Jug Racetrack, home to the famous harness race of the same name, is minutes away from Burr Oak Commons, and the downtown boasts one of the finest liberal arts colleges in the country. Ohio Wesleyan University (OWU) hosts innumerable musical, educational and cultural events every month, and locals and visitors alike enjoy world-class entertainment events on the campus, which is right in Downtown Delaware. Seniors over age 65 can audit select classes at OWU for no charge. A Main Street America community, Delaware is over 200 years old, and its downtown is home to fine dining, street fairs, and a seasonal farmer's market. Historic downtown Delaware has kept its charm and hometown feeling over the years, and there is always something to do and see within walking distance. As for the community of Delaware, it remains as it was, a great place to live, to raise a family and to downsize! Burr Oak Commons lets empty nesters continue living in the community that they love, being close to family and friends, and enjoying all the great hometown events that make Delaware such a great small city. 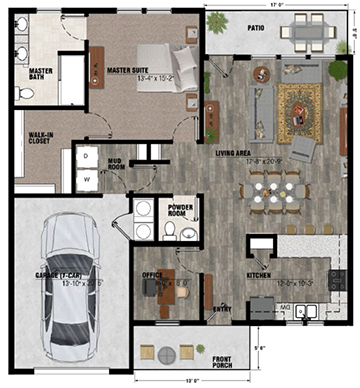 Burr Oak Commons will offer 92 luxury apartment homes for empty nesters, but its fabulous array of features and amenities will enable you to live your best active adult lifestyle. It's a great place for friends and family to visit, and the perfect place to call home. Home ownership has historically been synonymous with The American Dream. Many of our residents have already lived the dream of home ownership, and are now pursuing new things-like travel, passion projects, volunteering, grandchildren and other new experiences. Many empty-nesters are ready to create a new American Dream in the next phase of their lives. And for those who want the freedom, financial advantages and flexibility of a maintenance-free lifestyle, renting is the choice. 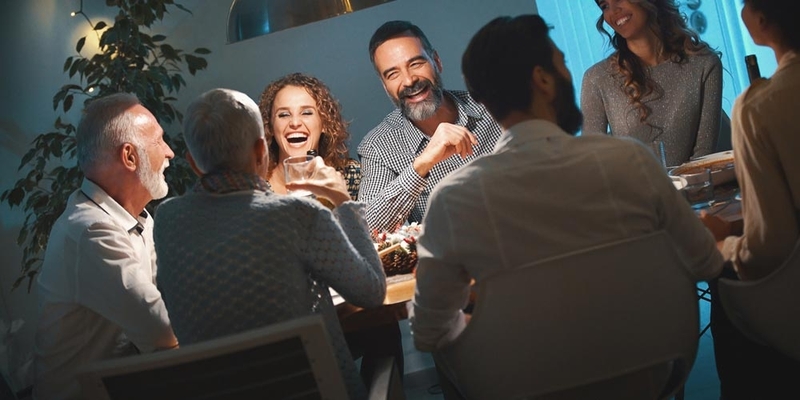 More and more empty-nesters are making the decision to downsize and rent – to experience the more carefree lifestyle they've earned. Click here to read more about renting vs. buying.